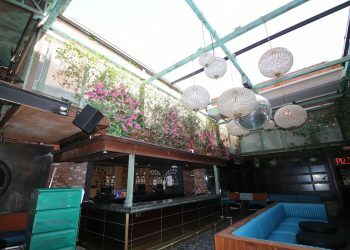 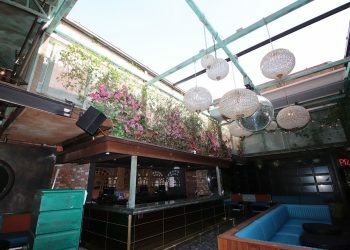 The Avenue is an intimate nightclub equipped with state-of-the-art sound and lighting systems playing host to world-class DJs and celebrity guests. 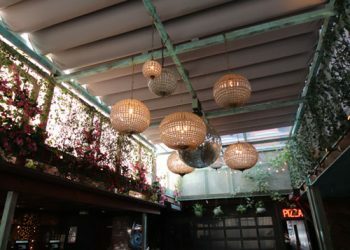 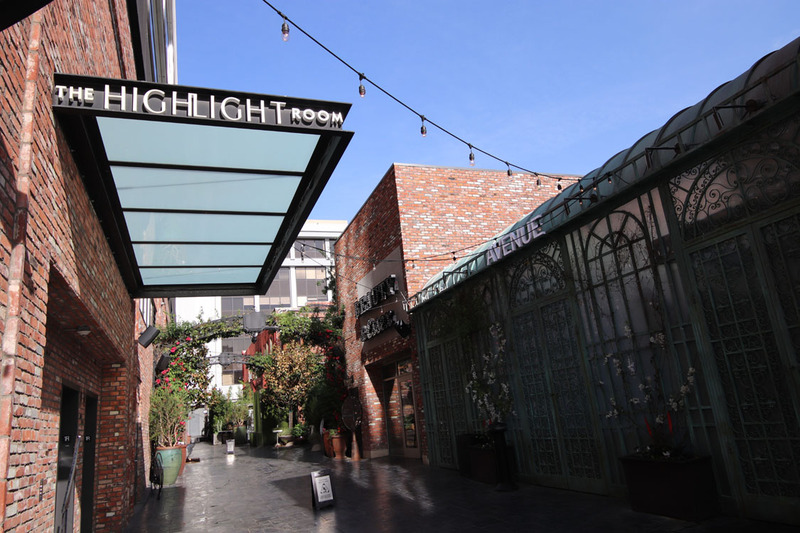 Situated just outside The Dream Hotel and The Highlight Room, this is the newest “it” spot to see and be seen in the heart of Hollywood, California. 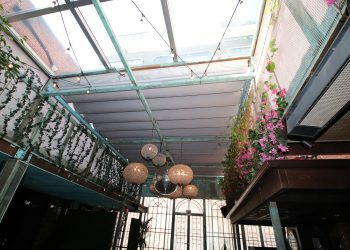 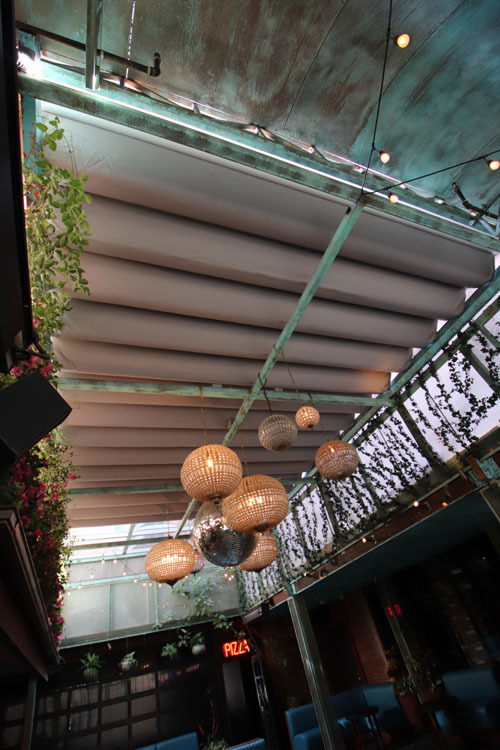 The center of the patio area is covered by a 486 square-foot Retractable Roof Canopy System mounted atop a metal frame structure engineered for 110 MPH wind-loads. 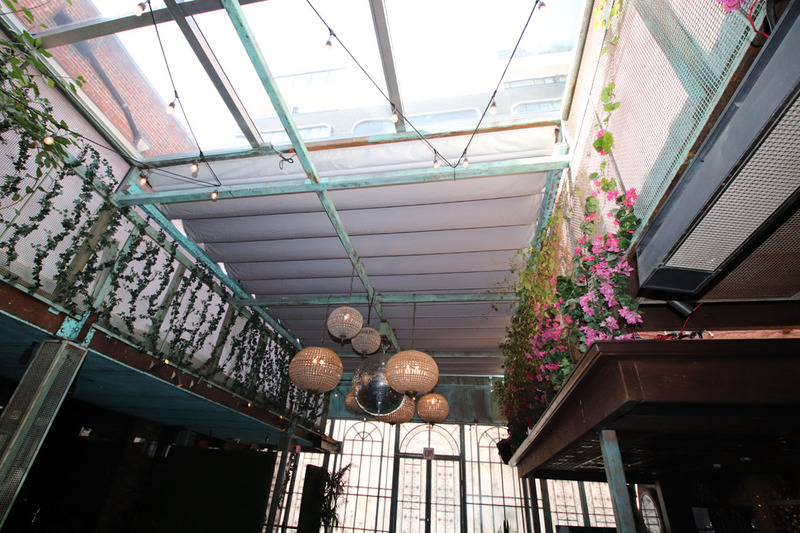 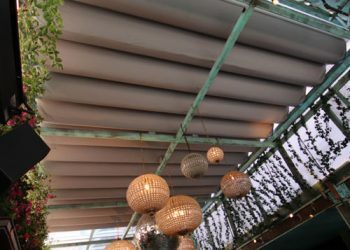 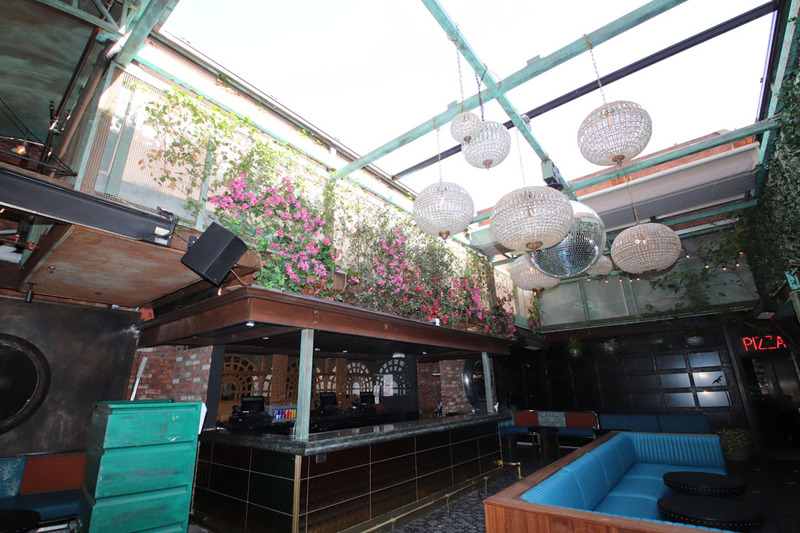 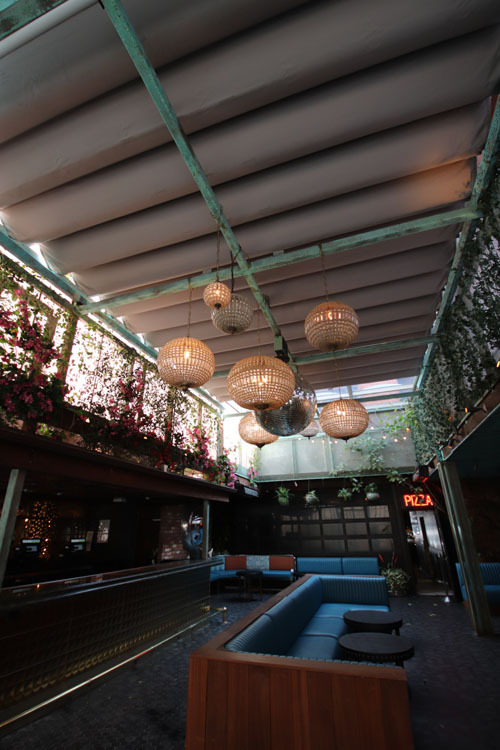 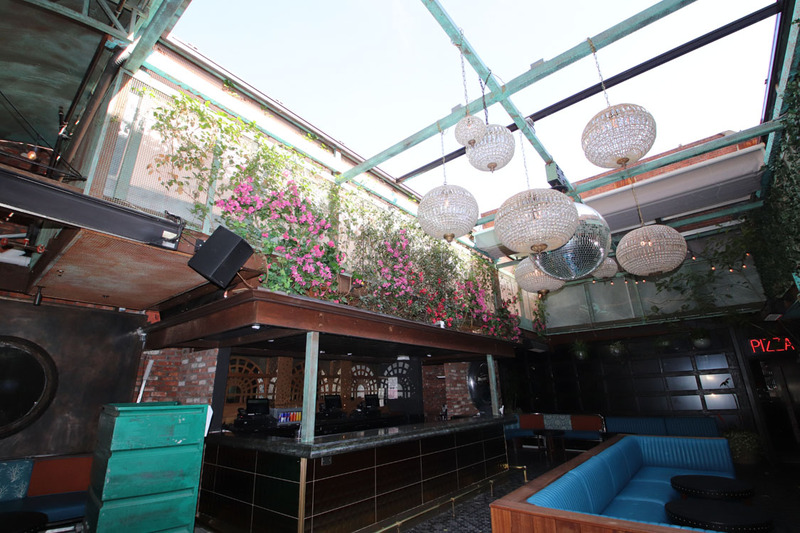 Flame retardant, White Eclissi fabric spans the entire slide-track retractable top cover to compliment the venue’s NYC ambiance.